Visit the Pre-Retreat Planning Page. SHIPSHEWANA, IN - SOLD OUT! 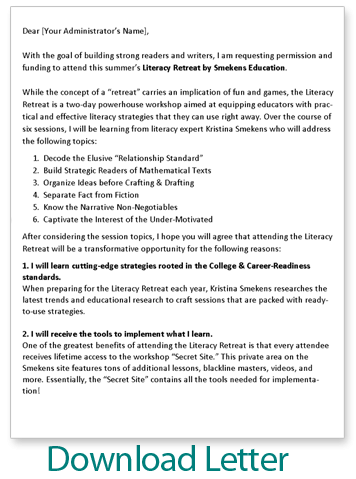 Download a template to share with your administrator the benefits of attending the Literacy Retreat. 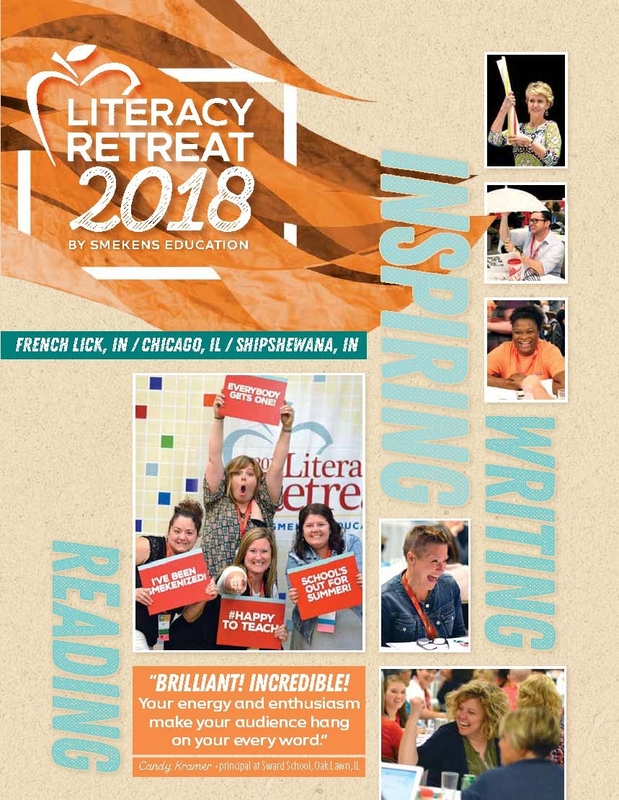 Thanks to a partnership with the Regional Office of Education #19, all Illinois teachers attending our June 19-20 session in Chicago are eligible to earn state-approved continuing education credit for 11 hours of training. Smekens Education is an approved subcontractor for ROE #19. 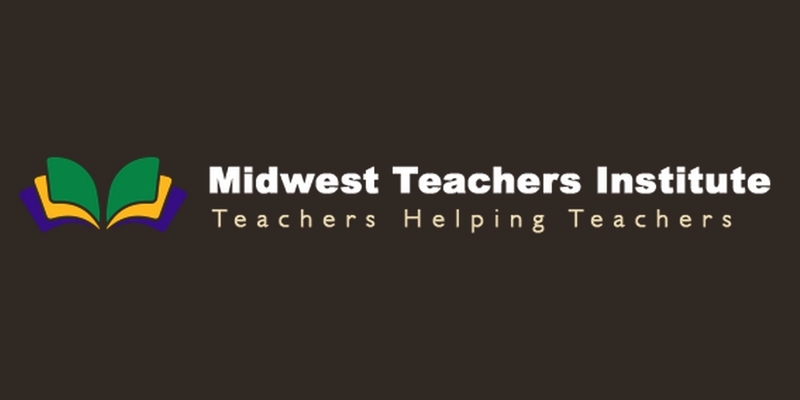 For an additional fee, attendees may earn three nationally accredited graduate-level credits from the Midwest Teachers Institute and their university partners, Colorado State University-Pueblo. These non-degree credits are designed for professional certification renewals and salary step increases. (Check with your district for approval prior to making a commitment.) Attendance at the Retreat, additional coursework related to the Retreat, and tuition of $375 is required for credit.